CHICAGO— Elizabeth Martinez, library director, Salinas Public Library (Calif.) is the 2013 recipient of the American Library Association Equality Award. The annual award, $1000 and a framed citation of achievement donated by Scarecrow Press, a member of the Rowman & Littlefield Publishing Group, is given to an individual or group for outstanding contributions toward promoting equality in the library profession. Throughout her career, Elizabeth Martinez has been known for her visionary leadership, innovative ideas and advocacy for cultural diversity. Elizabeth in collaboration with Dr. Amulfo Trejo founded and organized REFORMA, The National Association to Promote Library and Information Services to Latinos and the Spanish Speaking, and the Committee to Recruit Mexican American Librarians in California. She co-chaired the first ALA policy on diversity “Equity at Issue” in 1986 with Binnie Tate Wilkin for President E. J. Josey. As ALA executive director she developed the Spectrum Scholarship program. Since 1997, ALA has awarded more than 800 Spectrum Scholarships. The Office for Information Technology Policy was also established during her tenure as ALA executive director. In Los Angeles, as library director, she opened the new $214 million Richard RIordon Central Library and established the Foundation of the LAPL. She built nine community libraries for Orange County Public Library (Calif.) and established the Asian Pacific Islander, Black, Chicano and Native American resource centers for the County of Los Angeles. Elizabeth Martinez’ illustrious career includes many noted achievements. Most recently she was responsible for restoring and developing library services after a funding crisis closed Salinas’ public libraries. In 1996 Martinez was named one of “100 Outstanding Hispanics” by Hispanic Magazine. She was profiled on the AMC "Cool Women" program for her proposal to Bill Gates that resulted in $200 million to connect more than 4,000 public libraries in poor communities to the Internet. Martinez also received the Pen West Award, Hispanic Librarian of the Year, MANA Award and many others. She has made her mark on thousands of students through her teaching at the University of Arizona, San Jose State University and UCLA. 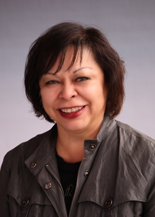 She was also on the initial Steering Committee for the implementation of Knowledge River, a national program for the recruitment of Hispanic and Native American librarians at the University of Arizona. In the words of Dr. Arnufo Trejo, "I remember meeting Elizabeth and understanding the indelible mark that she has placed on individuals involved in East Los Angeles and believing in the future for public libraries”. She is the consummate library activist, and her career exemplifies someone who is a tireless proponent. The award will be presented at the ALA Annual Conference in Chicago, Illinois in June. Members of the 2012 Equality Award Jury are: Eva Davis, Canton Public Library, Canton, Mich.; Beth McGuire, librarian, Greensburg, Pa.; Alanna Aiko Moore, UC San Diego, LaJolla, Calif.; Luis Francisco Vargas, Long Beach Public Library, Long Beach, Calif.;, and Chair Ann K. Symons, retired librarian, Douglas, Alaska. More information about the Equality Award including how to submit a nomination is available on the ALA website.